Canoeing is the ultimate adventure on the Delaware! Running the Delaware’s rapids in a canoe is challenging and exciting! Canoeing is also the best way to fish the Delaware, allowing you to drop your line in every eddy! 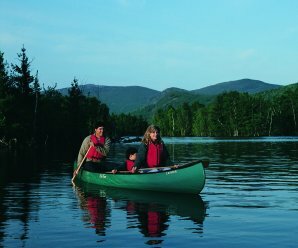 Canoeing is primarily recommended for adults and older children.